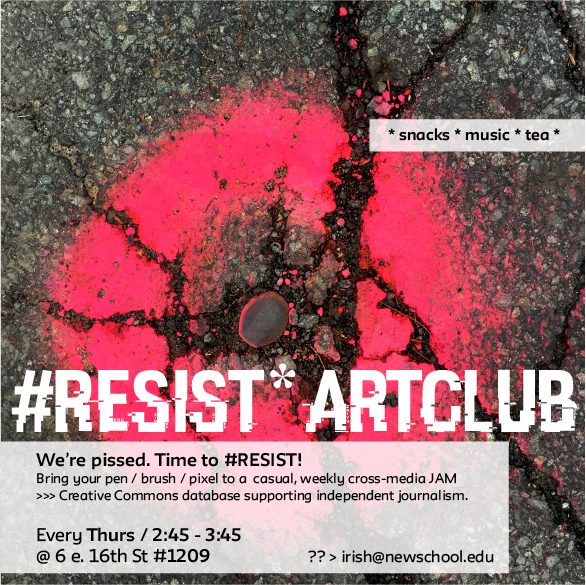 We are starting the #RESIST Art Club! We will host a weekly, ad-hoc team of students & faculty to generate new imagery based on current news, ideas & problems. These will be distributed on a TBD network support independent journalism, resistance events etc. under the Creative Commons license. All media forms/styles welcome.